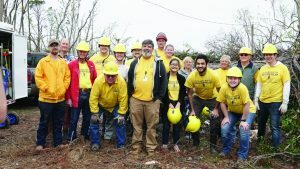 PANAMA CITY, Fla.—Over the winter break from school, 40 students and leaders representing the University of Oklahoma (OU) Baptist Collegiate Ministry (BCM) traveled to Panama City, Fla. to serve alongside Oklahoma Baptist Disaster Relief (DR) trained and equipped volunteers. Since Hurricane Michael hit the east coast last October, DR has served homeowners by clearing downed trees and assisting with post-hurricane damage. Denny Freeman, who recently retired after serving 38 years as the BCM associate state director, reported, “We saw (Hurricane) Katrina, and the damage from Michael, honestly, was worse if not one of the worst disasters I’ve worked in 38 years.” Through BCM and DR partnerships, Freeman has served on DR trips, following many of the nation’s most devastating storms. Bronson Baker, paradigm and athletics specialist at the OU BCM, was one of three staff members on the missions trip said this is the second service mission trip of its kind on which OU has served, the first being Hurricane Harvey in Houston in 2017. Another BCM team after completing cleanup for the day. Photo by Katie Gilbert. On the DR trip, students were able to learn directly from volunteers who have spent many years doing hurricane and tornado cleanup. 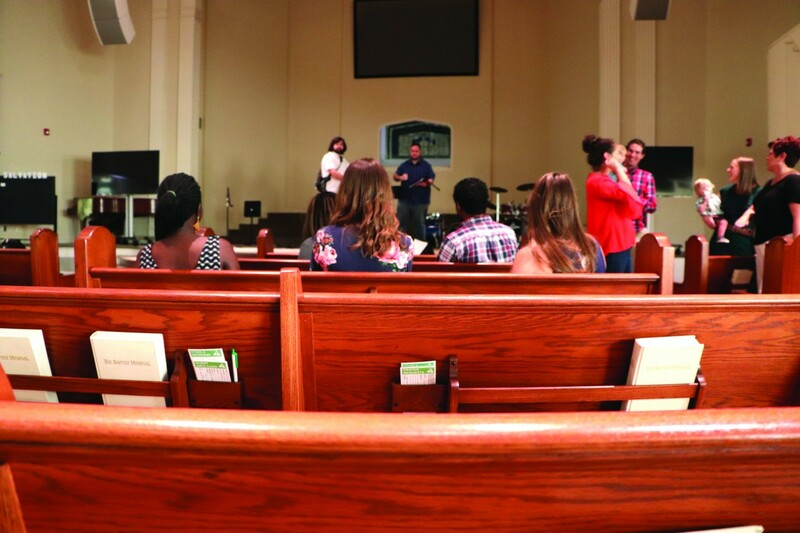 “This was a wonderful opportunity for (students) to work hard and be there to bless people while they step outside of their comfort zones and learn from people that love Jesus and are very different in where they are in life,” Baker said. Williams said BCM teams that go on trips with DR are always more than willing to do whatever it takes and work alongside DR trained and equipped volunteers. 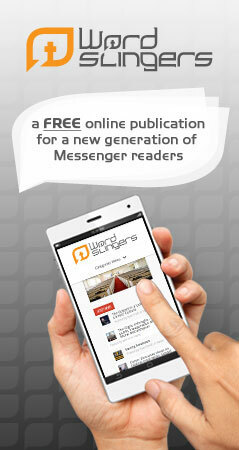 “It’s a great partnership between some of our senior volunteers and BCMs. The students work alongside them and learn valuable skills like how to work a chainsaw,” Williams said. God was not done working through the lives of DR volunteers, however. On the way home from Florida, a DR team witnessed a car accident between a car, van and a semi-truck. The DR caravan stopped, and among the volunteers was a retired fireman. DR teams began to assess the situation. A man was badly injured, nearly thrown from one of the vehicles, and was found with no pulse. The retired fireman performed life-saving measures, reviving the man and eventually handing his care over to first responders, who thanked the DR volunteer for his vigilance. 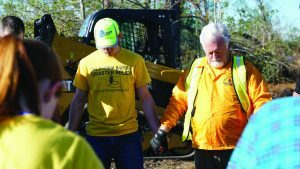 “I am thankful to be an Oklahoma Baptist because our members not only respond to natural disaster in Oklahoma, Florida and the world, but they always respond to anyone that has a need (whom) God places in their path,” Williams said. For more information about DR, or to make a tax-deductible donation, visit www.okdisasterhelp.org.